This site consists of Adult Content and is available to adults only. Below are all the guidelines for the Plat-Forum. Use the buttons to view other important info. There are special rules for website owners, admins and EyeCandy4us Forum Creators. If you are a website owner or admin please contact us prior to signing up to the free SexyWivesForum. Rule 6: When posting , please do not start a new conversation without posting a picture!! Also, please do not post pictures in other peoples threads without being invited in the Title of the thread (topic) or thread (topic) body. Rule 7: Please wait at least a couple of weeks before re-posting a picture. eyecandy4us sexywivesforum would get pretty boring if everyone kept posting the same pictures. "Personals" should not be posted in an open forum page, keep private things private, the forum has options on a per post basis and even free registered users can use them to USE them. The posting of URL's or Kik info unless done by creators (moderators) and patrons (members) by way using on of the two ways to have it private on the open forum. The posting of telephone numbers unless done by creators (moderators) and patrons (members) on their private forum. 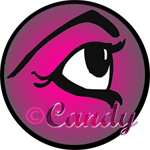 And LAST, but not least....We hope you enjoy your experience on EyeCandy4us SexyWivesForum!